Come to Animal Encounters at the Museum of Nature & Science this June for answers about animals that we encounter in our desert area! This program is for people of all ages and takes place every Saturday at 1pm. The hands-on series is free and registration is not required. Animal Encounters explores six types of animals in our desert region: mammals, birds, reptiles, amphibians, fish, and arthropods. Each week is a different type of animal and the program includes live animals from the Museum’s collection whenever possible! MoNaS is located at 411 North Main Street. 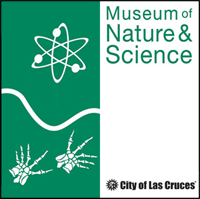 For more information, call (575) 522-3120 or visit the website http://museums.las-cruces.org/. If you need an accommodation for a disability to enable you to fully participate in this event please contact the museum 48 hours before the event.